What’s your 2019 resolution? One of the most popular New Year’s resolutions is to be healthier – from better eating habits to working out more frequently. Although making a positive change for a healthy lifestyle can be challenging, an easy way to stay on track is to incorporate protein into your diet. One large egg contains six grams of high-quality protein, which helps with maintaining a healthy weight and building muscle mass. The protein found in eggs is one of the highest-quality and most affordable proteins available. Because eggs are so versatile, they can be enjoyed during any meal of the day – from frittatas at breakfast to casseroles at dinner. Research shows that eggs eaten at the start of the day can reduce daily caloric intake, prevent snacking between meals and keep an appetite satisfied on those busy days when mealtime is delayed. Not only do eggs leave consumers feeling fuller longer than cereal or toast, but one egg also contains 13 essential nutrients for only 70 calories. More than half of Americans stop trying to keep their New Year’s resolution after one month. 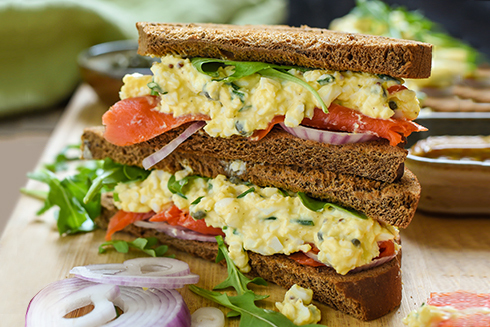 But with eggs, a resolution of eating healthier doesn’t have to end because they’re so easy to prepare! 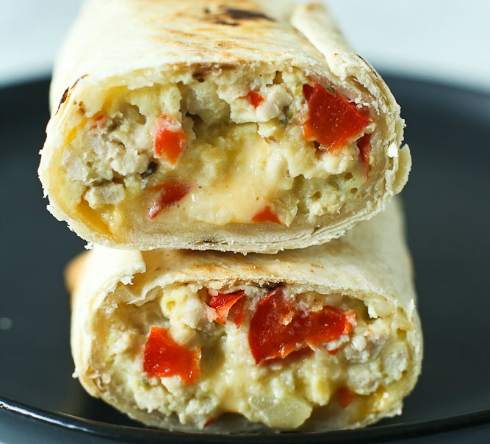 Whip up simple and easy recipes like an Instant Pot Breakfast Egg Casserole, Smoked Salmon Egg Salad Sandwiches, and Turkey, Egg and Cheese Breakfast Burritos.